Karim has over 18 years of experience in hotel real estate development, finance and investments. In his current role, Karim is focusing on growing Marriott International's footprint across the African continent, with emphasis on the region's fastest-growing hotel and travel markets. 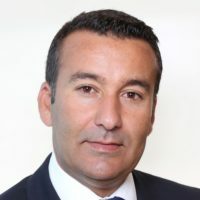 Karim joined Marriott International in 2010 as Vice president of Development for Africa. Prior to joining Marriott International, Karim was a Director at Istithmar. In his role he was responsible for origination and acquisitions of hotel and leisure opportunities globally. Prior to that, Karim was with Ernst & Young Transactions Real Estate Advisory in the MENA office. Karim started his career in hotel operations and consulting. He has advised many hospitality companies, investors and lenders on M&A transactions, strategy and development opportunities within Europe, the Middle East and Africa. Holds a Masters in Hospitality Administration from the Ecole Hôtelière de Lausanne, in Switzerland.